Following her previous promotional outing, Hera Hilmar joined her cast mates Leila George and Jihae at the world premiere of 'Mortal Engines' at Cineworld Leicester Square yesterday(November 27th) in London. Hera Hilmar looked chic & on trend wearing a OSCAR DE LA RENTA SPRING 2019 black long sleeve beaded embellished & fringe dress. Adding some extra sparkle to her look, she wore a diamond choker. On one hand, I don't think she needed the choker but on the other, I can see why it was added. 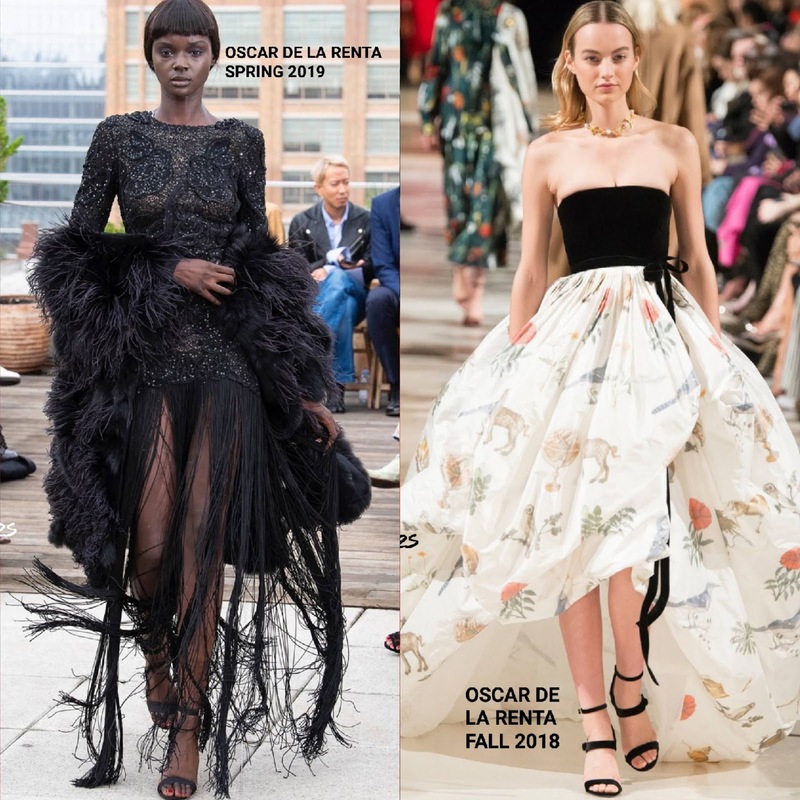 Leila George also wore a dress by OSCAR DE LA RENTA, however her dress was from the FALL 2018 collection. She looked gorgeous wearing a color-block dress, featuring a black strapless, tie waist top and a white high-low printed bubble skirt. ASPREY LONDON jewelry, MANOLO BLAHNIK sandals, a ponytail with tendrils and a red lip finished up her look. Jihae wore a black sleeveless ALEXANDER MCQUEEN floor length dress, featuring a sheer illusion, corset bodice. Enhancing the appeal of her black dress, she dressed it up with statement DANNIJO silver necklaces. If I had to edit her look, I would swap out that clutch for a smaller style and ditch the pumps for sandals.